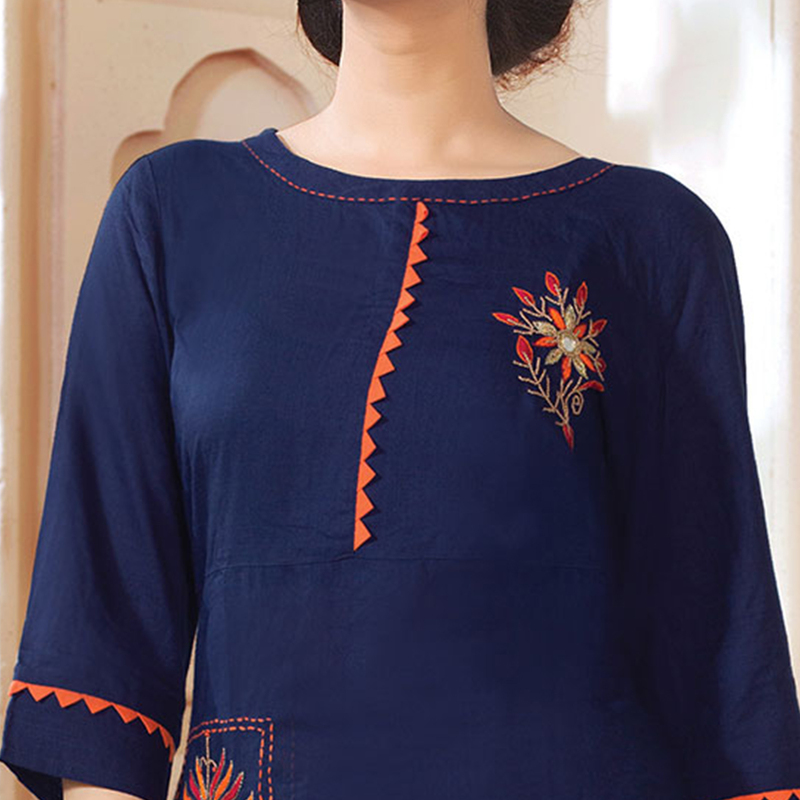 Incite your admirers to bask in your glory with this navy coloured designer embroidered kurti. 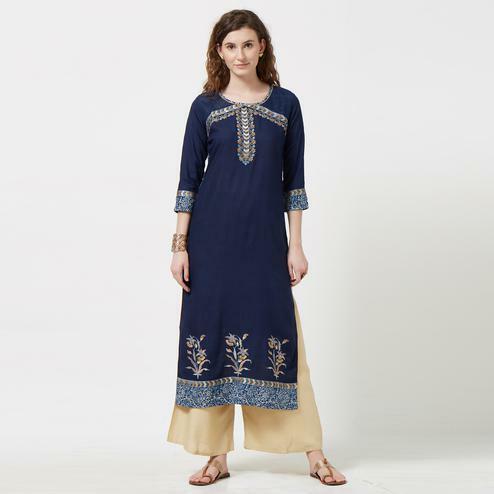 Exclusively designed, this cotton kurti with regular fit will enhance your curves and makes you look classy & stylish at the same time it's easy to wear & care. It's a perfect outfit to wear for casual wear, parties and social get together. Pair it up with churidar in lighter or brighter hues to create a contrasting effect, along with heels & stylish accessories.This attractive kurti will surely fetch you compliments for your rich sense of style.